If you have been thinking of adding new, beautiful hardwood flooring to your home, now is the time to visit with Covering Broadway in Red Lodge, MT. Not only do we have a great selection of the best wood flooring on the market, we also have some of the best prices that you will find anywhere. When homeowners decide to invest in wood flooring, they want to know that they are buying high-quality flooring that will last for many years. There is really only one way to ensure that this happens, and that is to buy the best brand names in flooring. This is what you get when you shop with us. We have worked hard to make sure that we only carry the best in wood flooring for our customers. You never take a chance when you buy from Covering Broadway. Another benefit that you get when you buy from us is our complete selection. 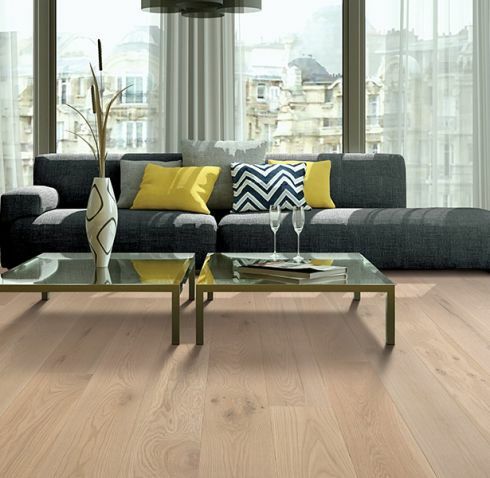 No one wants to only have a handful of wood flooring systems to choose from. Our customers have access to hundreds of options, and that makes finding the perfect flooring a snap. When you shop with us for your hardwood flooring, you are able to select from a large variety of wood species. From the more traditional species such as walnut, oak, maple, and elm, to the more exotic species such as Tigerwood and bamboo, for example. Our wood flooring runs the entire color tone spectrum; from ultra light to dark tones that are perfect for studies and dens. We carry a huge variety of plank widths, as well. And, don't forget, we serve a large area that includes: Belfry, Roberts, Bridger, Roscoe-Luther, Billings, Absarokee, and Columbus. The best way to see the wonderful hardwood flooring options we have for you is to visit with us at our showroom in Red Lodge, MT where shopping for all types of quality flooring is fast and easy.